Ladies get to ask a lot of questions each day about growing long hair. Well so many people are desperate to find the “secret.” Is it Shea butter? Onion juice? Rice water? It’s actually none of these things. It is just a good, solid regimen. What is a Hair Care Regimen? It is simply the way in which you care for your hair. Just because you have a regimen, doesn’t mean it’s good or comprehensive enough. Many have very poor regimens that do not lead to healthy hair, which is important for growing long hair. Before we delve into the four main components of a regimen, let’s talk about hair growth rate and terminal length. Both hair growth rate and terminal length are determined by genetics. But while the rate is easy to calculate (with some effort), terminal length is not. Just because you are not retaining length (retaining length means retaining the amount of hair that has grown) doesn’t mean you’ve reach terminal length. Often times, when we aren’t retaining length, it’s a sign that the hair is breaking, the question becomes what is causing the breaking (this will be answered in a moment). Hair grows from the scalp, Hair can break at any point along the hair shaft, but most often towards the ends, the weakest part of the hair. Hair grows, on average, half an inch a month, give or take. This means you can grow 6 inches a year (Again, this will vary from person to person, it could be 4 inches for some, could be 8 inches for others. Because it is genetic, you can not speed growth rate. But I’ll elaborate in a moment.). You will want to aim to retain at least 80% of this growth. It’s possible to have 100% retention, but not probable nor likely. Hair growth rate is genetic, but can be influenced by your overall health (as well as hair care, but again, we’ll discuss this). This means that to get the best growth for you, you’ll want to eat healthy (get a wide variety of vitamins, minerals, and macronutrients – protein, fat, carbs), drink water, exercise, and reduce stress. While these things are important, honestly, many people can grow long hair without doing these things. My advice, do them to be healthy, not to grow long hair. And a quick note about health growth vitamins, there is no guarantee that they will help with hair growth. If you want a vitamin, pick a daily vitamin that supports overall health. Not just hair growth. The best way to determine growth rate is dye a section of hair and then measure the amount of hair that has grown out after three months. This isn’t necessary, but it’s actually the easiest, most measurable way to create a clear start point. Again, it’s not necessary, nor do you have to do it (I also don’t recommend if you don’t want to dye your hair, but I’m being as comprehensive as possible, so I’m giving all the answers in this post). A good regimen requires four main components, the wash day, daily maintenance, detangling, trimming and styling. Let’s go over each one, common issues that can be addressed with good technique, and potential issues that could prevent you from retaining length. A good wash day will involve using shampoo or soap, applying it to the scalp, massaging the scalp for 3-5 minutes, rinsing completely, apply deep conditioning for 20-30 minutes, detangling, rinsing, applying a leave in conditioner, sealing with an oil or butter, and then styling. This is a very basic wash day that addresses many common issues. First, massaging the scalp with shampoo or black soap helps to lift and remove dirt and dandruff from the scalp. Second, using a deep conditioner will add moisture back into the hair. Moisturized hair resists breakage due to dry hair. Detangling at the end of deep conditioning should give the hair enough slip so that it’s easier to detangle, which reduces breakage from manipulation, and moisturizing and sealing helps keep the hair moisturized (again, moisturized hair resists breakage due to dryness). Some tips to make the process easier: wash, condition, detangle, and style in sections. Personally, it is best to wash in two sections, conditioner and deep condition in four sections, and detangle in 8 sections. Second, shampoo or soap isn’t necessary, but you want something to clean the scalp and hair. This can include clay washes, using Ayurvedic herbs, etc. If you want more information, please google or search on YouTube. If you have a lot of tangling during the wash process, put your hair in two strand twists to help minimize this. Fourth, it’s important to understand the proper order of the wash day. Pre-shampoo (pre-poo) treatments, like onion juice applied to the scalp, it is done before shampooing. Rinses are usually done after conditioning. Although some rinses, such as an apple cider vinegar rinse, can be done after shampooing. Also, I want to make it clear that I am going to spend the majority of this post discussing the basics. Things like onion juice and rice water are extras and are not necessary, nor should they be the main focus on a regimen. A common issue I see is that people are forgoing a basic regimen, but add onion juice and think it’s enough. It isn’t and you’re going about it all wrong. If you don’t have a basic regimen, you shouldn’t be trying to add something that isn’t necessary. 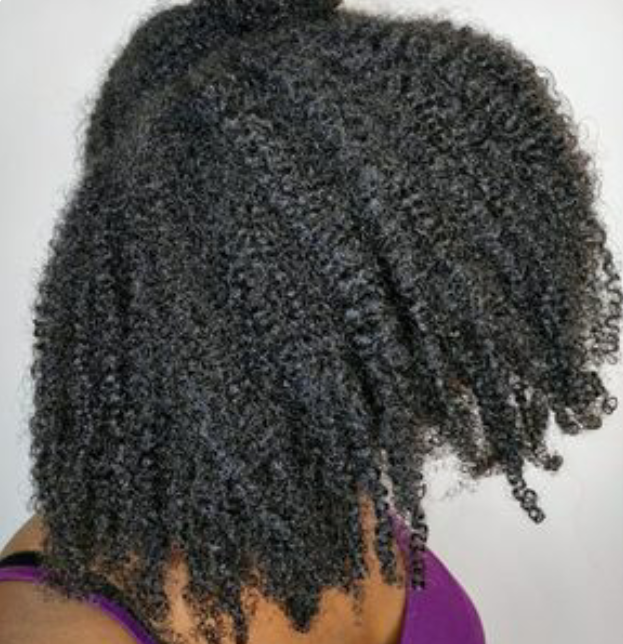 People seek answers about preventing shrinkage during the wash process. Well the hair is going to shrink, you cannot prevent this. After you’ve finished washing, if you want, you can make a few twists or braids and let hair dry to stretch the hair. This is temporary (being natural will mean you deal with shrinkage, there is no permanent solution). So common issues with a wash day. First and foremost, people try to go as long as possible without washing. The longer you go without washing your hair, the more dandruff you’ll have to contend with. This will vary from person to person, but expect dandruff, which is a build up of dead skin that flakes, to start around one to two weeks after washing the hair properly. Also, I can’t stress this enough, but you need to massage the scalp when you wash. This will help to remove any dandruff on the scalp. Another issue, people don’t condition after shampooing. Stop doing this. You need to condition after shampoo. Every single time. If you don’t know the difference between conditioner, deep conditioner, and leave in conditioner. Your hair will be dry and break if you skip the conditioning process. You will want to make sure you use a protein deep conditioner once a month. This helps prevent breakage due to weak hair. You shouldn’t do this all the time, once or maybe twice a month will do. Daily maintenance is how you take care of your hair day to day. It doesn’t need to involve much, just keep your hair moisturized and reduce breakage. To do this, moisturize with water or a water based leave in conditioner (read the ingredients on the bottle, water will be the first ingredient) and immediately follow up with a butter or oil. Water moisturizes and sealing seals that moisture in the hair. This helps prevent breakage due to dryness. I recommend doing this every day, but you can do it every other day or every third day. If your hair is particularly dry, you can even do it twice a day. Just make sure your hair isn’t always wet or damp, you want hair dry (physically to the touch) in between moisturizing and sealing. If you have braids, twists, or any other similar protective style, add water, leave-in conditioner, and oil in a spray bottle and spray hair. Some tips and common problems. You shouldn’t be combing every day. I realize many people do this; it’s not necessary and is way too much manipulation on natural hair. Keep hair stretched (in simple two strands or braids using your own hair, buns, etc.) if your hair gets tangled easily. Detangling is a common place people experience breakage. I explained above that detangling can be done during the wash day process, but it doesn’t have to be done during the deep conditioning process. It can also be done before shampooing. But also after moisturizing and sealing but before styling. It can also be done at other points, but keep these basic tenets. Detangle on damp, but not wet or dry hair, which can cause excessive breakage due to manipulation. Use a product which slip like a conditioner, leave in conditioner, or water and oil. In sections (always detangle in sections), start detangling from the ends and slowly work up to the roots. Detangle with a wide tooth comb (do not use a fine tooth comb) or your fingers. Personally, I detangle after moisturizing and sealing but before styling so that I can stretch my hair and my hair stays relatively detangled until my next wash day. Common issues during detangling. People just aren’t detangling properly. After reading my explanation, it helps to see this in action. Go to YouTube and type in the search “detangling natural hair.” You will see many, many videos. Try different ones to find the right one for you. Don’t rush this. If you rush, you’re more likely to be too rough and cause breakage due to manipulation. I want to talk about shedding and I’m placing it in the detangling section for a reason. Shedding is a normal, biological process. Shedding is a hair strand reaching the end of its cycle. It is identifiable by a white bulb on one of the ends. Excessive shedding is something to be concerned about, but outside of a medical issue or malnutrition, excessive shedding isn’t that common. You should expect to lose around 100 hairs a day. If you have a protective style in for a long period of time, when you finally loosen and detangle, you will see a lot of shed hair. This is normal, it’s just because you weren’t removing the hair when it shed. It’s important to learn the difference between breakage and shedding when detangling to know if your detangling is causing breakage or you’re just remove shed hair (which is one of the goals of detangling). Until you get to a point where you’re comfortable with detangling and knowing that it’s not causing breakage, inspect the hair after you detangle. If you see a lot of hair, but not that many white bulbs, you’re causing breakage. Styling is how you style your hair. There’s a few basic tenets, but we’re mostly going to talk about protective styles, low manipulation styles, and balding/ alopecia/ losing front hair. Hair styles should never pull the scalp or hurt, always be careful putting them in. Do not pull or rip through the hair while making a style. A protective style protects and covers the ends (braids and twists with extensions, crochet braids, bun, french rolls), while a low manipulation style is a style where you don’t have to redo or restyle the hair daily (can be anything but you’re not redoing the style daily). A hair style can be both protective and low manipulation. There’s no time limit to keep a protective style in for. It could be a day, a few days, a week, a month. You don’t want to keep one in for more than six weeks. The longer the protective style is in for, the more likely damage and breakage occurs due to dryness and build up. To take a protective style out, go slow, take your time, and work in sections. Apply a deep conditioner, let sit on hair, finger detangle to remove any tangled and knots, then do a normal wash day. Again, you will have a lot of shed hair during this time. It’s normal. The edges are the weakest part of the hair. They tend to be finer and more susceptible to damage. It’s easier to pull the hair out from the root. This is why it’s so important to leave the edges alone and not try to pull in every single strand of hair in a protective style. Unfortunately, many have been doing these protective styles for years, and, in some cases, decades. Pulling hair out from the root can cause damage. This continued damage can permanently damage the hair follicle to the point that it will not grow hair again. If this happens, there’s nothing you can do, outside of medical intervention, to regrow hair. If the hair is not permanently damage, but severely or moderately damaged, it may take awhile for the hair to regrow, upwards of a year, and be significantly thinner and sparser than it was before. Okay, so we’ve gone over the basics of a hair care regimen. I’m going to go over a few more things, but I always recommend that people go to YouTube and see this in practice. It’s easy to read through, but it also helps to see real world application. Type in phrases like “natural hair wash day” or “natural hairstyles” or “natural nighttime routine” to see how all of what I said looks like in real life. You’ll see many different processes and techniques, and it’s important to note that these things work for those people. You’ll need to figure out what works for you. Try different things (not all at once), see how you show responds, keep what works, get rid of what doesn’t. Porosity is how well and fast your hair absorbs water. Low porosity is when the hair cuticle tightly overlaps making it difficult for the hair to fully absorb water. High porosity is when the hair cuticle is more open and/ or chipped and absorbs water very quickly, but also becomes dry very quickly. High porosity can be normal, but can also be hair that is damaged. To determine porosity, place clean shed hair in a class of water. After a 30 seconds to a minute, if the hair stays at the top, it’s low porosity, it floats to the bottom, it’s high porosity. If it floats in the middle, it’s medium porosity. Porosity is neither good nor bad, but a simple characteristic of hair. It’s of notice that some folks mainly in African Countries do not have access to made products, and instead have to make them for themselves. This is fine, but understand that you cannot mix whatever you want and get a good product. It’s important to understand the role of each ingredient you use, you can search on Google about products before using them. Here’s a quick take on the most common ingredients that people talk about. Rice Water – Rice water helps to moisturize hair. Great for those with really dry hair or who still struggle to keep hair moisturized despite deep conditioning and daily moisturizing and sealing. Use as a rinse on wash day after conditioning but before moisturizing and sealing. Shea Butter – Shea butter is a sealant used to seal moisture in after moisturizing. It can also be added to conditioners and deep conditioner, and used to help detangle. Can also be used as a pre-poo to help prevent dryness during the wash day. Guava Water – This can be used as a moisturizer when sealing. Can also be added to shampoo, conditioner, and deep conditioner. Aloe Vera Juice – It can be used as a moisturizer when sealing. Can also be added to shampoo, conditioner, and deep conditioner. Okoro Water/ Gel – This can be used as a moisturizer when sealing. Can also be added to shampoo, conditioner, and deep conditioner. The gel can be used to help get more definition from a wash n go, and braid outs and twist outs, as well as slick down edges. Honey – It serve as a moisturizer, when mixed water, can be used as a moisturizer when sealing. Can also be added to shampoo, conditioner, and deep conditioner. Honey can lighten hair for some, so avoid if you want to keep your hair color. Egg – Can be used to strengthen hair. Egg isn’t a protein treatment because the protein molecules are not small enough to penetrate the hair. It can still be useful, but if you want a real protein treatment, use gelatin instead. Add to conditioner or deep conditioner. Avocado – moisturizer, add to conditioner or deep conditioner. People often say that avocado is a protein treatment. It’s actually not, it has very little protein in it. It is a great moisturizer. Banana – it’s a moisturizer, add to conditioner or deep conditioner. Apple Cider Vinegar – Helps close hair cuticle making hair shinier, helps with an itchy scalp. Some say it removes build up and dandruff, but I would say no. Never use 100% Apple cider vinegar on hair, instead for every one part Apple cider vinegar, mix with 3 parts water. Castor Oil – along with castor oil having the same usage above as coconut oil, it can be applied to scalp to encourage growth of bald spots. You should expect to trim your hair. Trimming hair helps to get rid of split and frayed ends that make the hair look raggedy, but can also cause knots and tangles. Personally, I trim when my hair tangles more than usual, but it may differ for you. If you feel you don’t need to trim or don’t know when, a good baseline is once every 3 months. If you’ve been following a good regimen, you shouldn’t have too much damage to trim off. Maybe half an inch. Genetics Often people cite their mother, grandmother, sister, aunt, cousin, etc. as a reason that they can’t grow long hair and it’s genetic. But I often ask where did they get their hair care advice. Mom? Grandmother? Aunt? So many mothers do a lot of damaging hairstyle on their kids and actually think it’s okay. They’re literally setting their child up for a lifetime of hair problems and they’re completely unaware of it. It’s okay to acknowledge that you learned everything wrong from mom. There’s nothing wrong with this. But now that you know, you can do better. Don’t blame genetics. So, if you’ve read this super long post, notice I didn’t mention hard or soft hair. That’s because these are simply characteristics of hair. Let me explain a few things. Neither hard or soft hair is better than the other, and it’s not an indication of whether hair is breaking or if you’re retaining length. It is simply a way people are describing their hair. Regardless of if you have hard or soft, you need a good regimen and this post will help you. Do not skip or add something in hopes of changing this. Often times people will ask how to change it, and unfortunately be recommended something that they don’t need to do, or even worse, is damaging. Learn to work with the hair texture. So if you say “my hair is soft and I can’t do braids,” just don’t do them. Just find a different style. This really isn’t the post for this, but I’ll answer it quickly regardless. You need to cut your hair to go natural. You can cut all the hair off at once, which is called a big chop, or let the natural hair grow as you gradually cut off the relaxed hair, which is called transitioning. You should’ve started when you big chopped. Same for transitioning. Start caring for your hair immediately. Also, some people say the relaxed hair turns to natural if you give it time, it doesn’t. What’s happening is the relaxed hair is breaking off. I don’t recommend you aim for this because it can split and fray the ends, which can travel up the hair shaft damaging the natural hair. Some people also say you revert the hair using beer or soda, this is also false. When people do this, their hair will feel rough, but it doesn’t mean your hair reverted to natural. Lastly, your natural hair date is the date of your last relaxer. It’s not when you officially decided you weren’t going to relax again or when you starting making the hair. People get confused by this, especially if they had a long transition. It is the date of your last relaxer. So, for example, if your last relaxer was September 2017 and you big chopped June 2018. You’ve been natural for 10 months, NOT ONE MONTH. Also, if you’ve been natural, but have kept your hair in a low cut, you would start counting at the most recent low cut. If your hair had some length, make sure you just let people know. This is the last thing I will leave you with. All this hard work will pay off, but only if you’re consistent and patient. A regimen is a lifetime. It needs to be integrated into your day to day life. Please don’t do it once and stop. You don’t do it ten times and stop. It’s forever. So decide now if you really want to put in the work. If you don’t want to take the time to learn all of this and do it, then get a wig and call it a day because this won’t happen without you adopting it as a lifestyle. And also be patient. I explained above, but you should only expect 4-6 inches of hair growth a year. This isn’t really that much, but it adds up over time. Be patient. Don’t stress yourself out over that. Just focus on the care and the length will come.